Grid Views are collections of stocks (represented by their Snowflakes) based on certain criteria. That criteria can be anything starting with the Snowflake shape and score to more specific ones like any of the metrics from our analysis or industries and markets. 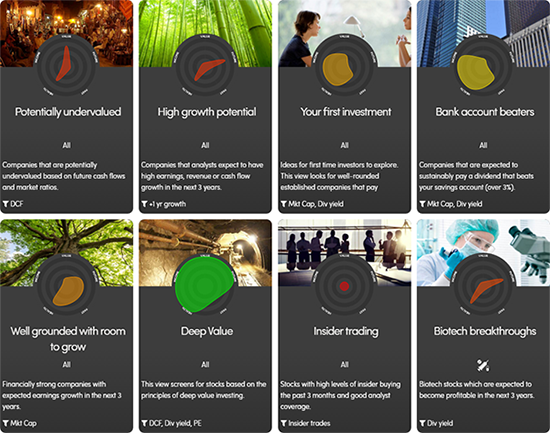 When looking for new investment opportunities, Grid Views and Snowflakes make it possible for you to instantly understand investment profiles of the companies you are lookng at. This allows you to quickly find out which stocks are worth of researching further. Companies that are potentially undervalued based on future cash flows and market ratios. 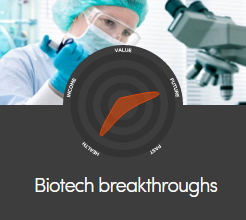 Biotech stocks which are expected to become profitable in the next 3 years. 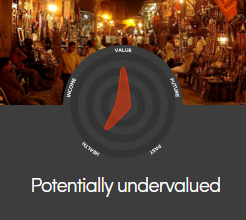 Learn how to create a new Grid View to find investments based on your own criteria.